First and foremost, three cheers to Gar, Thomas, and Andrew for a fine start to this uniquely important cooperative conversation. Rarely has the exchange of words and ideas left me with such a well-spring of hope. Not only did this dialogue provide us with thoughtful, nuanced, and provocative reflections, but its process – the careful arguments and caring responses – was, for me, exemplary. How best to continue? My first and strongest inclination is to recommend that this “system problem” thread be amplified over many weeks, and then carried into the May 2014 US Federation of Worker Cooperative Conference in Chicago. In that setting, and in celebration of the Federation’s Tenth Anniversary, worker owners from all over the USA, and elsewhere, will gather, and, in my view, they are precisely the ones “cooperative planning” should be waiting for. Substantively, I would agree with Gar and Thomas on the need for “participatory planning”, as well as with Andrew’s principle that “planning must be centered in the cooperative movement”. It is, however, not yet clear to me just what each of these includes, and what they exclude. Let me offer three concrete, somewhat controversial and possibly enlightening cases of “planning” for consideration as models, and then ask whether they are, or could be, acceptable as “participatory” and/or as “centered within the co-op movement”. CASE 1: Whose Voices Need to be Heard? This story took place in the UK, during the mid-‘70s, when an old London plant within the Lucas Aerospace complex discovered that its owners had decided to close it down. Joining with a number of affected unions, they hit upon an unusual strategy, which they called the Alternative Corporate Plan. Its main and most novel feature was a process involving the entire workforce in identifying and assessing “alternative products” which their skills and the plant’s technology would be able to make and sell. The criteria for “alternative” were simple: not military aerospace (Lucas’ main product), and serving a socially useful purpose or unfilled need. As one worker put it: "Why can we not use the skills and abilities that we've got to meet the interests of the community as a whole? Why can we not produce socially useful products which will help human beings rather than maim them?" It's frequently asked of me, 'Do you really think that ordinary people can deal with these problems'? I personally have never met an ordinary person in my life. All the people I meet are extraordinary. They've got all kinds of skills, abilities and talents and never are those talents used or developed or encouraged. What we've got to remember, as we're driven down this linear road of technology, is that the future is not out there someplace as America was out there before Columbus went to discover it. The future hasn't got predetermined shapes and forms. The future has yet got to be built by people like you and I, and we do have real choices. It can be a future in which we are not threatened with mass annihilation through nuclear weapons or ravaged with hunger. It could really be a world in which we treasure all our people equally and get science and technology to serve people rather than the other way round. In a word, we could begin to perform the modern miracle, we could help to make the blind see, the lame walk, and we could feed the hungry. Not long after that, I attended a “new economy” conference in the very urban North End of Hartford, where previously isolated groups focused solely on co-housing, or Food not Bombs, or permaculture, environmental resilience, moneyless currencies, cooperatives, and many other social enterprises, started to plan and organize together for the various local regions in Connecticut they represented. Should cooperatives, or the co-op movement, join this sort of cross-organizational bridge building, and begin to plan together with allied groups outside the co-op family? Intriguingly, the Emilia Romagna cooperative network in northern Italy – at 15,000, the world’s largest regional co-op network, accounting for 40% of their region’s GDP – is linked in many collaborative ways to social enterprises and flexible manufacturing networks that often are not cooperatively owned or managed. Jackson Rising’s sponsors and endorsers include organizations with a history of involvement in cooperative development. Have they stretched the notions of cooperatively-centered, or participatory, planning too far, in too partisan a direction, by joining forces with the Mayor and his political cohorts? Or, is this city-based strategy sufficiently “cooperative centered”, even though its main partner is an elected, and controversial, official? I have not focused on these three cases to offer counter-examples or to disagree in any way with either Andrew or Thomas and Gar. Instead, my aim has been to use detailed examples to explore further the meaning and limits of what they – and I – might consider desirable forms of planning. 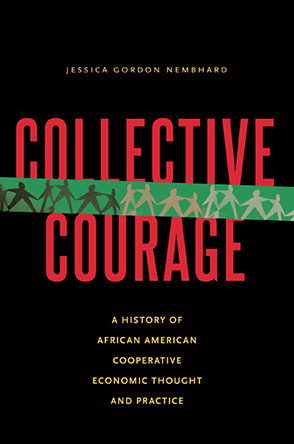 Each of the cases, I believe, can be shown to both protect and enhance cooperative autonomy, while providing resources to strengthen and grow an increasingly contentious, no longer marginal, cooperative economy. If so, perhaps they can help overcome the “system problem” while throwing some light on both “participatory planning” and “planning centered in the cooperative movement”. Perhaps, but I’m eager to see how others will respond to these reflections of mine, and, as well, to my suggestion that we bring this entire theme to the worker cooperative gathering in Chicago, this coming May. Len Krimerman lives, works, dances, and dreams in rural eastern Connecticut, and has helped build bridges between the many varieties of grassroots democracy over the past five decades. In this, he has invariably been mentored by his amazing GEO colleagues, by the imagination and support of his lifelong partner, Marian Vitali, and by the courageous activism of so many of his students and community partners. Marian and Len are now engaged in helping develop the Windham Hour Exchange, a community barter initiative in and around Willimantic, CT.